These Tookies Sugar Springs Buttercreme Cookie-Wiches look sugary sweet with their bright, springtime colors. 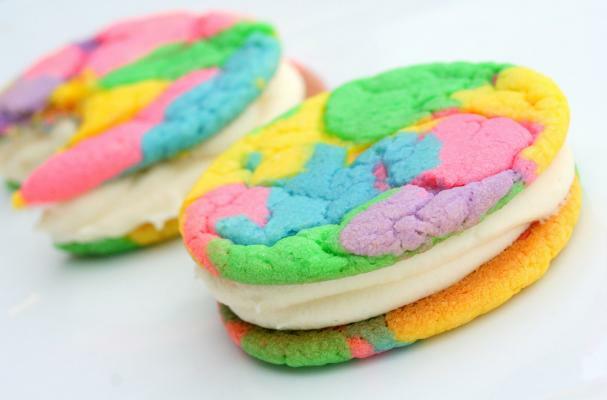 The cookie-wiches are a perfect treat for this upcoming Easter or a fun occasion like a birthday or baby shower. Flavored with French vanilla, the cookies are held together with a special buttercream recipe and dyed in pastels to create a seasonally appropriate sweet. For more fun cookie ideas for the upcoming Easter holiday, check out these Unfortunate Bunny sugar cookies.